This page has been viewed 35 times this month, and 2112 times total. Cartoon Characters: Professor Linderbrook, Alex, Hans. Vocal Talent: Ron Haddrick (Professor Lindenbrock), Lynette Curran, Alistair Duncan, Barbara Frawley, Bevan Wilson. Produced By Walter J. Hucker. Animated By Irena Slapczynski, Ray Nowland, Peter Luschwitz, Susan Beak, Don Ezard, Gairden Cook, Wal Logue, Geoff Collins, William Toh, Jean Tych. Assistant Animators: Marilyn Taylor, Geoff White, Di Farrington, Marie Orr, Geraldine Kos, Maggie Cairns, Ty Bosco. Based On The Original Novel By: Jules Verne. 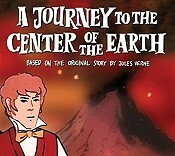 Based on the Original Story by: Jules Verne. Camera: Jenny Ochse, Kim Humphreys. Special Effects: Yamuna Adamson, Marika Sochacki. Do you have anything to add to this page? Have we made any mistakes... or do you have any additional information about A Journey To The Center Of The Earth? If so, we would love to hear from you. Please send us a quick note with your additions or corrections to this page, and we will make the corrections as soon as possible! 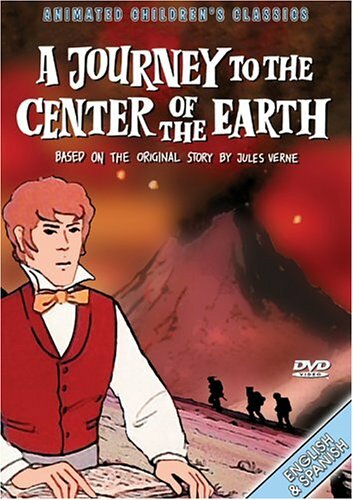 Do you love A Journey To The Center Of The Earth, or do you think it is the worst cartoon ever? Let us know what you think! Surely you have an opinion... so share what you think. Take a minute and post your own comments about this cartoon here. A Journey To The Center Of The Earth by Big Cartoon DataBase is licensed under a Creative Commons Attribution-NonCommercial-ShareAlike 4.0 International License.